Below is a list of TV channels available by Satellite dish from the Optus D2 Satellite. There hundreds of channels from all different languages and countries. Scroll down to see which TV channels you would like to watch. A new satellite dish or an existing small satellite dish installed on your roof can be used to tap into these Optus D2 channels. For installation of Satellite dishes or to hook up to Optus D2 Call 1800 TV Magic. 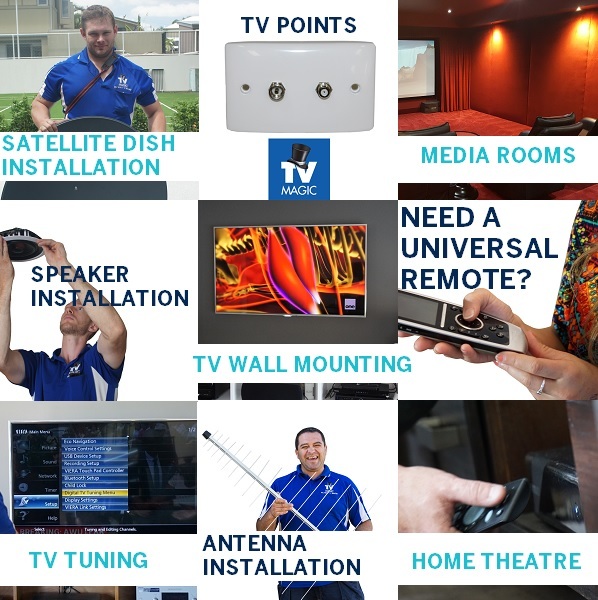 TV Magic have satellite dish installers in Brisbane, Gold Coast, Toowoomba, Sunshine Coast & Adelaide.